Thanks, this post made me laugh! 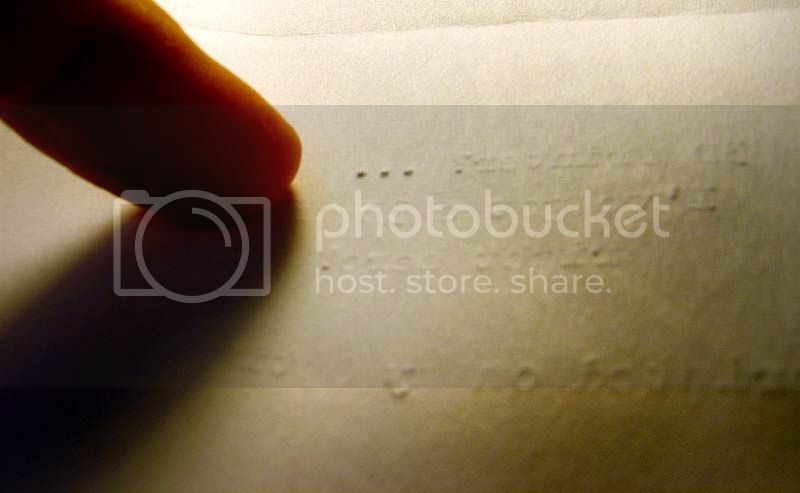 That's one of the things that I like most about a typewritten page: its texture. I've always wondered... why would someone want to type without using the ribbon? What is a stencil used for? That might be an interesting entry. A stencil is for making copies on a mimeograph. yes, I think there's one outfit left who sells supplies. I gave all my mimeographs to Goodwill. Darth Optima--the 5 bank beast. Here at UIUC we've got a prototyping lab with 4 or 5 of those huge rapid prototyping machines. They're awesome. The technology really is cool. I'm even more impressed by the 3D scanners than by the 3D printers. These devices will eventually make it very easy to get replacement typewriter parts, among many other things. 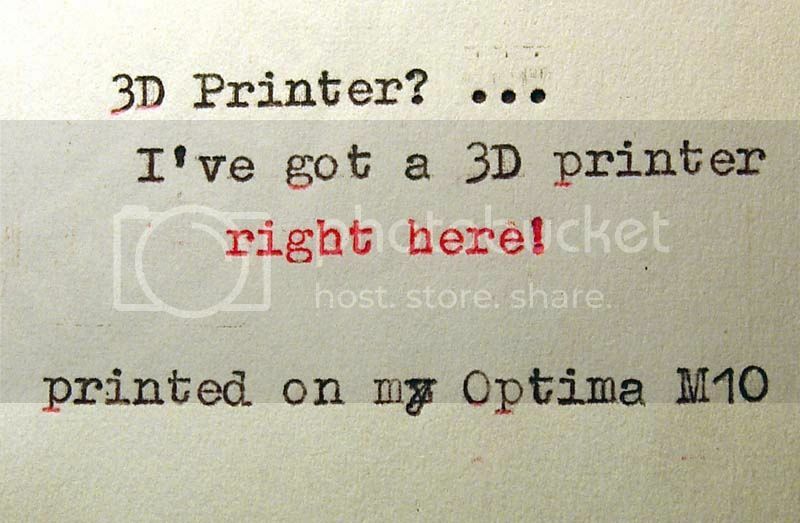 You got a point there - viva Optima 3D! Man...that is one absolutely beautiful Optima! 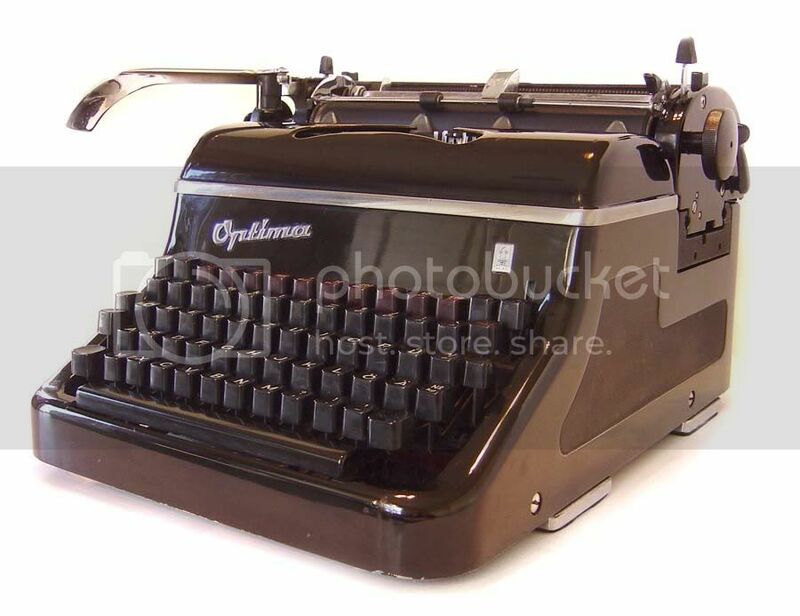 I clicked on this thinking you have been making replacement typewriter parts using a 3D Printer...but I was not at all disappointed by the wit of the actual post. Well done! One thing for sure, that's one handsome Optima. I do love that Optima. I like to use heavy paper with my Royal 10 (elite typeface) just to get that 3D effect - kind of like the results from a hand printing press. Even cooler, until I replaced the rock-hard platen, the center of the lower case "o's" would just fall out. Holding the sheet up to a light it would look like a starry sky. My Royal 10 does the same thing! Ha ha ha. Oh, That machine has some punch! That is a really lovely Optima. Thanks. Here's more about it for those interested, and here's even more.